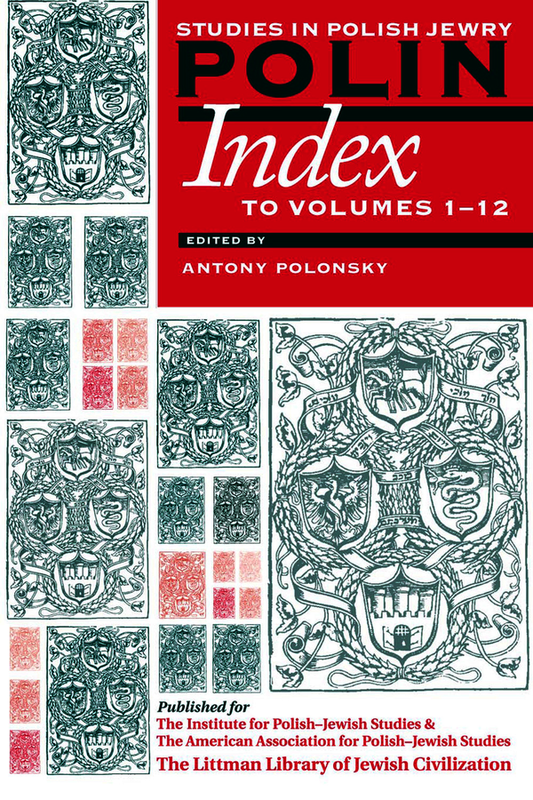 This consolidated index to the first twelve volumes of Polin will be a vital tool for scholars and students interested in any area of Polish Jewish studies. * Table of contents by volume-each volume at a glance * Chronological table of contents-each historical period at a glance * Index of persons-more than 4,500 people * Index of subjects-almost 6,000 detailed entries * Index of books reviewed * Index of contributors-listings of scholars and their contributions * Notes on contributors * A chronological table of Polish history * Maps Over the years, Polin has attracted contributions from many disciplines-among them architecture; economic, social, and political history; literature and film studies; Holocaust studies; rabbinic; sociology; women's studies; and Yiddish studies-and from a wide variety of viewpoints. Every period of Polish-Jewish history and every area of settlement has been covered, in more or less detail. Some topics have been the subject of ongoing debate in successive volumes, and the coverage of the different towns and geographical areas has likewise often extended through several volumes. However, only since the Littman Library began to publish Polin (starting from volume 8) have any indexes been provided. This long-awaited volume will greatly facilitate serious research in the field of Polish-Jewish studies. Antony Polonsky is the first holder of the Albert Abramson Chair of Holocaust Studies, a joint appointment held in the Department of Near Eastern and Judaic Studies at Brandeis University and the United States Holocaust Memorial Museum in Washington, DC.